"Bird Nest - Attraction" is the large scale audio-visual feast created by the top international team. It's a magical show tailored-made for the Bird Nest. It will start 9/21 at the Bird Nest. The Bird Nest will turn into a "magical planet" using singing, dancing, music, special effect videos, and lighting. alan will be the female lead #1, the "crystal goddess". I wanna seeeeeeee it!! Do musicals ever get released on DVD or something like that? ^ Stay alive, 3000! Don't go to the light! wow, i wasn't excited, but with the trailer i'm so excited !! alan had a shoot as the crystal goddess. 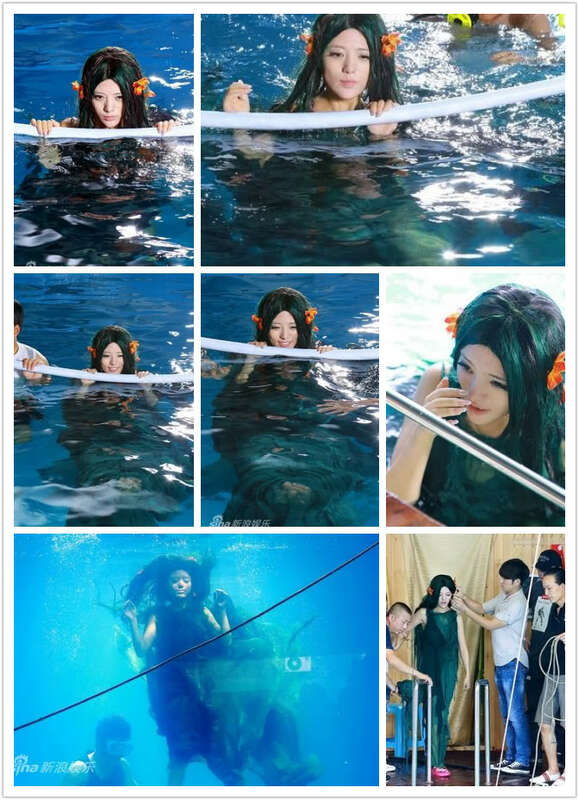 She was in the water for 5 hours and had to go underwater. The first picture! *__* Gorgeous! Can't wait to see the final results! Woow awesome! I'm glad she's trying many new things! I love this new look, why can't be the PVs be as this good? , but this scene reminds me of Kana Nishino's I PV and it didn't seem that she was wearing a wig under water...looks so realistic! How long did she go underwater for each time? 1 min? 2mins? how long can you hold your breathe. Yes. I knew that it's a wig, but at first I didn't notice it all and whatever happened to the black hair?